Waitsfield bed and breakfast travel guide for romantic, historic and adventure b&b's. 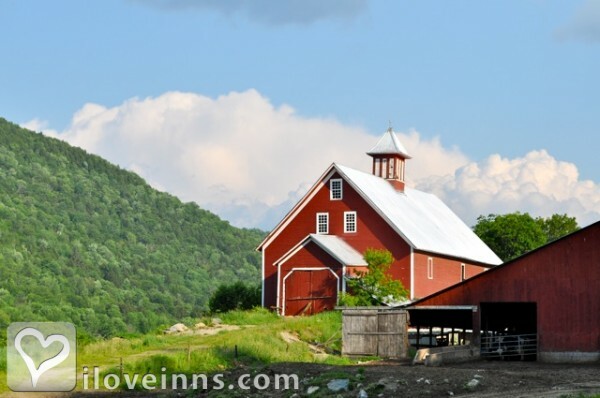 Browse through the iLoveInns.com database of Waitsfield, Vermont bed and breakfasts and country inns to find detailed listings that include room rates, special deals and area activities. You can click on the 'check rates and availability' button to contact the innkeeper. Waitsfield is a quaint, historical village located in the Mad River Valley in the heart of Vermont's Green Mountains. Along with with neighboring, historical Warren and Fayston, Waitsfield is home to Sugarbush Resort and Mad River Glen ski area. By Hyde Away Inn. Experience the leisurely charm of Central Vermont. Waitsfield is home to both fabulous skiing and endless summer activities, also a perennially beautiful wedding destination. By 1824 House Inn.